Has anyone listened to these yet? would like to read a review on these or any other component 6x9's besides the Image dynamic set. or better yet a nice 6x9 round up would be even better since so many cars now use this size up front. I don't think the Audiofrog GS690s are even available yet. They are still listed as pre-order on Crutchfield. I would try reaching out to your local dealer if you have one. I don't believe the GS690 is shipping yet. Not liking the available 6x9's otherwise I decided to try the Stevens Audio MB8's. They sure look up to the task! I am searching for a pair of pioneer TS-D6902R just so i play around with them and run them active and mate them to my favorite tweeters. 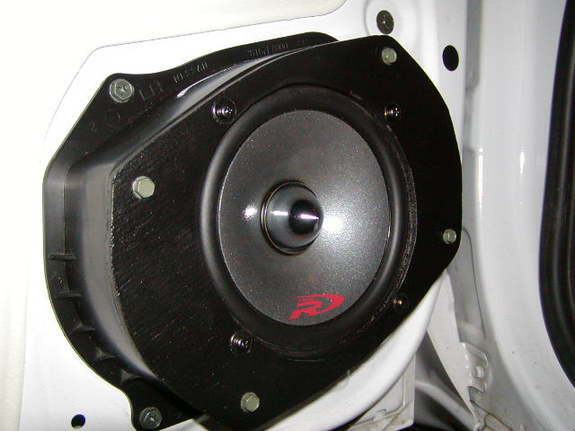 i can either remove the mounted tweeter or just leave it as i will be using a external x-over to by pass the tweeter. I love the mid-bass from these, just wish pioneer had made a set of 6x9 components. Im in the same boat with my Ram.I do like the Pioneers but I dont have eq to run a seperate tweeter which i want to do.Maybe somebody has listen to some of the speakers above and can comment. What about the Hybrid Audio offerings? They have the Imagine and Unity lines in a 6x9. I like building stuff. It's fun. Everyone should try it. Will there ever be a GB690? Didn't Andy say there was a midbass specific GS 6x9" coming out? Edit: Oh nope, it wasn't just a misbass it was this one. 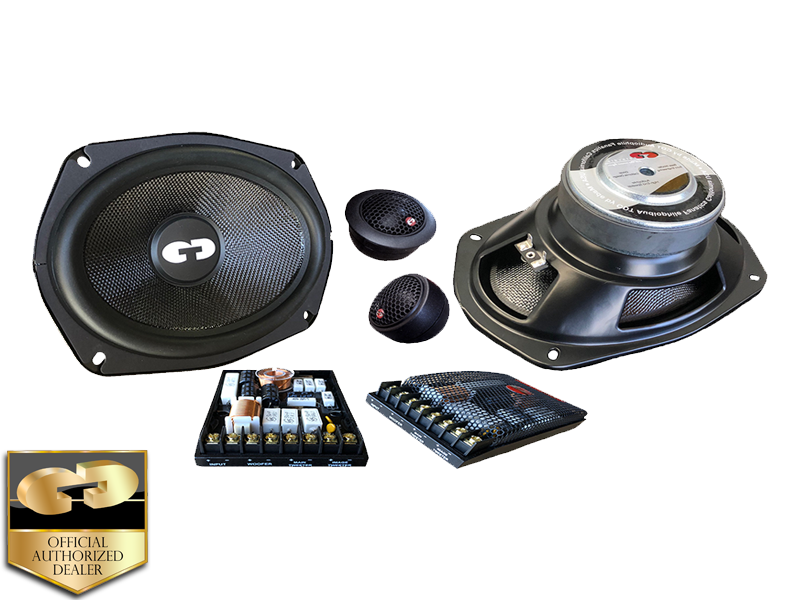 We won't have an 8" for doors any time soon, but we will have a GS690 (6x9 woofer) designed for use with a GS10 and a GS610C crossover or in active systems. I'll place an order as soon as I've finished the owner's manual. I'm very happy with the GS series. Running the GS60 and GS10 with a TWK88. Very smooth and easy to tune. Plenty of solid midbass out of the 60. I'm sure the 690's will be just as good, if not better. GS690 is now available at crutchfield. Also see that the Hybrid Audio unity 6x9" is now available in the 2-ohm shallow mount version. Is this possible for your set up ? making an adapter for a 6.5 .. But why? When you have a chance to use a bigger cone area like a 6x9, why would you move to a 6.5"? Besides maybe speaker selection? That would be the number 1 reason IMO. Going from ~8 speakers to well over a hundred? I'd do a 8" before I go to a 6.5". You give up so much mid-bass potential. After I ran a pair of sls 8" mid-bass, I can never go back if a 6x9 or 8" is an option. I would love to see a comparison of 6.5" vs a 6x9 from the same brand and series. 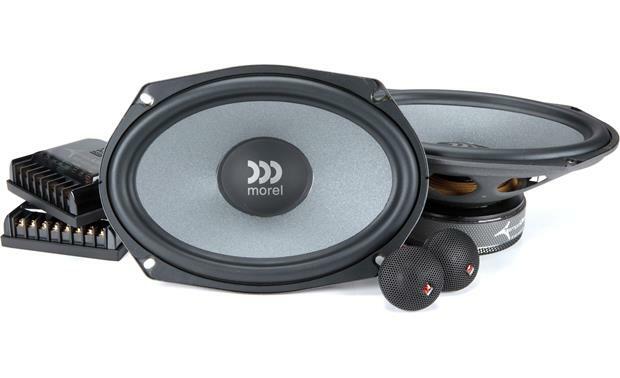 I suspect the 6x9 would be superior in bass, and beeming if the driver is oriented correctly. suggestion was based on speaker selection... seemed like you didnt want to wait to be able to get the 6x9 option.. I'm all for more cone area and more oomph..
Last edited by slain93gsr; 08-10-2017 at 02:42 AM.. These are one of many possible 6x9 component sets available from their catalog or even via customized packages. 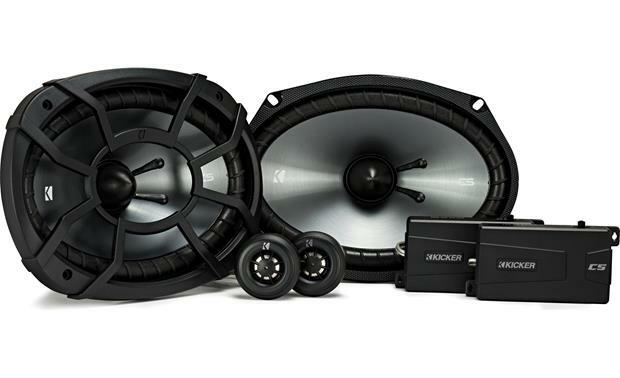 A 6x9 woofer with a 2" wide range driver is one possibility, in the regular 3.5" mounting depth or a slimmer 2.87" mounting depth. Anyone try the gs690’s yet how do they compare to the flagship gb60’s? will be doing an install with these somewhat soon. will report back. Can't wait to hear about them. I'm completely satisfied with my ID 6x9s but may have to give these a shot.